I had written down this recipe from the Internet months ago, leaving it out, reminding me to just try it! I made the soup yesterday and was not disappointed. The taste profile in this soup is perfection if you follow the directions. It will become a “regular” at The Cottage. 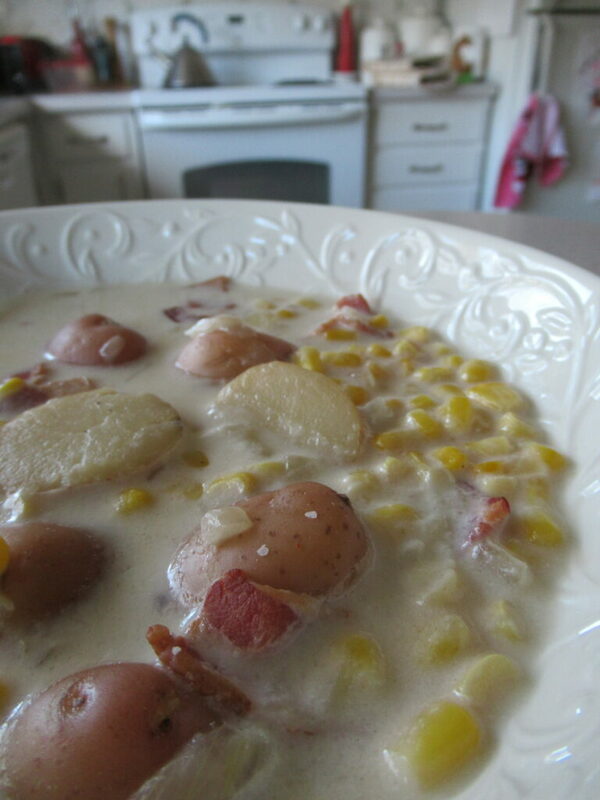 *** In a 4 quart Crock Pot, mix potatoes, onion, corn, broth, salt and pepper. Cover and cook on high for 4 hours till potatoes are tender. *** In a small bowl, beat half&half and cornstarch with a whisk till smooth, Stir half&half mixture and bacon into the corn mixture that is in the Crock Pot and cover. Cook another 15-30 min till slightly thickened. 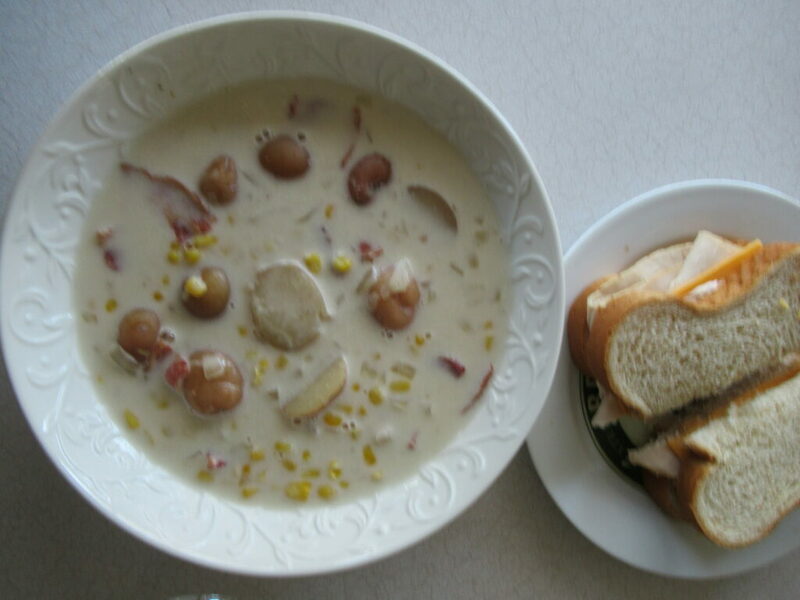 We had turkey sandwiches and diet ginger ale with the Corn Chowder.